Mary Gaitskill is also the author of Don't Cry, Veronica, Because They Wanted To (nominated for a PEN/Faulkner Award) and Two Girls, Fat and Thin. Veronica was nominated for the National Book Award. Gaitskill is the recipient of a Guggenheim Fellowship, and her work has appeared in The New Yorker, Harper’s, Esquire, The Best American Short Stories, and The O. Henry Prize Stories. She lives in New York. Hi Mary. I'm reading Veronica right now for my project period for grad school--I'm pursuing my MFA in creative writing from Antioch University in Los Angeles. I LOVE this book. So powerful, and so beautifully written. You are truly gifted, and I can't wait to read more! What a pleasure. Hi Mary. I've followed your work since Bad Behavior and loved every single book and story. Wonderful to see you on Fictionaut! Hi Mary, I love this story and I'm thrilled to find you on Fictionaut! Welcome. thanks, didn't know about this wall until now, not on facebook or anything so a little backward that way--really appreciate. Welcome to FN. Excited to read your work. Love your work. Welcome to Fictionaut. Mary, welcome. Your original story is better than 10 cups of coffee. I am so excited to have read it, and will read it many times today. Hi Mary, it's wonderful to read you here at Fictionaut. 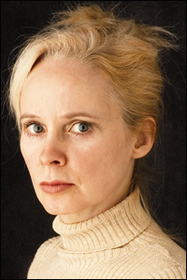 You must log in to write on Mary Gaitskill's wall.